Kristianna Fredenburg, MD, PhD is a board-certified anatomic and clinical pathologist whose primary interests include head/neck and cardiothoracic pathology. 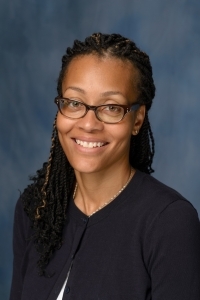 She has a strong research interest in identifying the molecular basis of head and neck cancers among different racial and ethnic groups in the United States. Dr. Fredenburg received her undergraduate degree in biology from the University of Rochester in Rochester, New York. She followed this degree with a doctorate in cell biology from North Carolina State University in Raleigh, North Carolina. After a brief postdoctoral fellowship at Duke University in the Department of Molecular Genetics and Microbiology (Durham, North Carolina), she earned a medical degree at University of North Carolina at Chapel Hill. She later completed her pathology residency training and a two-year surgical pathology fellowship at the University of Florida.